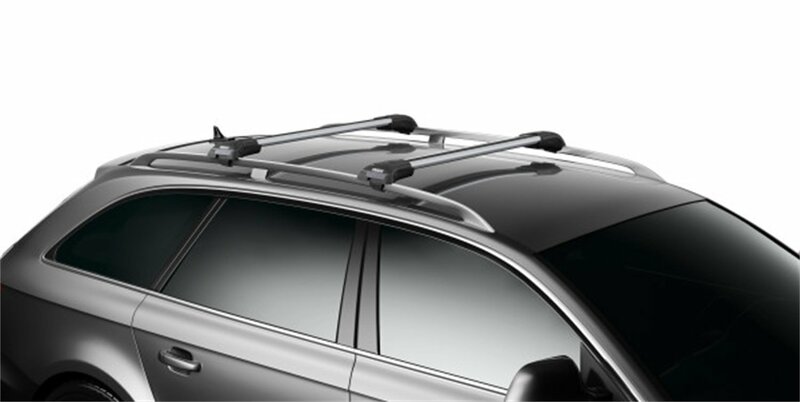 Thule AeroBlade Edge 7503 is a system that is known to be reliable and that is built to perform while eliminating noise from the wind. It offers a selection of mounting and accessory products. They come in matt black colours which is powder coated to protect it. This colour matches well with all vehicle colours and gives them an elegant look. There are four lengths on offer with these bars. These are the 7501, 7502, 7503 and the 7504 bar. Thule has a fit guide which enables you to ascertain the length for your vehicle. For Subaru vehicles with fixed point roof type, the 750x series will not be a good fit. However for the vehicles with roof railing or factory installed crossbars, this system will be compatible. This system is designed for the cars that already have raised rails. The edge tower has a spring rolling mechanism on which it is mounted on. This provides a tight fit no matter the distance from one rail to the other. This bar integrates the bar and foot in a pre-assembled design which makes it easier for you to install it. It has incorporated technology for wind diffusion which reduces the drag on your vehicle and makes it less noisy. The set has been designed with box beam load bars which are some of the strongest load bars available in the market. It has also been made compatible for T-track mounting. You may however have to purchase the Thule Xadapt for this with some vehicles. Determine the outside diameter of your raised rails. You will find a measuring guide provide with the installation guide that comes with the package. It is the last page of the manual. There is a table on the instructions showing you what hole your mounting strap will be attached to depending on your diameter. The mounting strap is a rubber coated steel strap with holes in it. Once you have determined the hole to use, slide the mounting strap through the edge tower. Then let the required hole be caught on the tiny hook at the base of the tower. Position the crossbar on your raised rails and let the strap come below the rails. You will want to align the crossbar on both rails. Measuring with the distance from the end with a tape measure will help with this. There is a pair of vertical posts at the end of the edge tower. Turn the strap up over the rails and then pass it through the edge tower so that the holes at the end of the strap come down on the vertical posts. Press the strap down firmly so that it is secured. There is a recess bolt directly behind the posts on the edge tower. When the strap is in place, use the wrench provided to reach this bolt and then tighten it. Continue tightening until you hear a noise from the edge tower and the wrench. There will be some rubber strips provided in the package for filling in any channel spaces that may be left on your cross bars. All you need to do is to press it firmly against the bar to fill in these spaces. If you want to add other accessories on the bar, you can custom cut the rubber strip at the required areas. Once you have placed the strip on the bar, cut off any overhanging part to achieve a neat finish. You may want to install your cross bars with lock cylinders. This will come at an extra cost. The cross bar will sit firmly in place without this but you can purchase them for security purposes. To install these, place the plastic cover onto the crossbar and hold it firmly down. Then press the cylinder down into the hole as you rotate it. Now lock it and remove the key. The set will however come with plastic cylinders which you can install to keep the cover in place. The edge is very attractive and looks superb on any vehicle on which it is installed. It is made to be very strong and does not wobble. It is ideal for a long journey when you want to transport something over a long distance. They have a tight fit when installed. The plastic ends are also quite strong. They do not emit any additional noise and so you will have a smooth quiet ride when using them. They interfere with the sunroof on a vehicle. 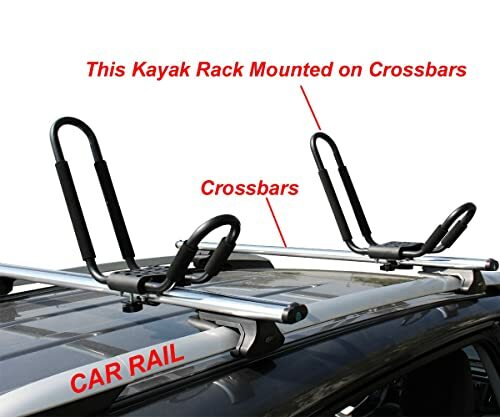 You may find that you can no longer open the sunroof once you install these bars. The rubber parts may wear out very quickly. They are not very resistant to heat and may require to be replaced. It is sold as one bar per pack. You will therefore have to get two. This is the first rack system in the market to incorporate an aerodynamic design within a strong rack. It creates the highest carrying capacity of any aftermarket rack that there is. It is generally a great bar to have for carrying your watercraft, bicycle, or any other luggage. 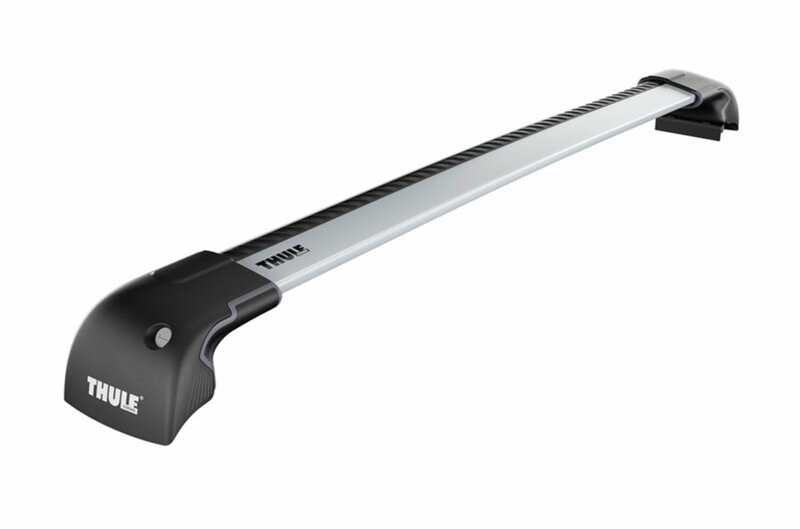 Do a fit check on the Thule website to ensure that the bar you get is the recommended fit for your vehicle. This will save you both time and money. You can also take your car to the local dealer to get the correct recommendation. Generally Thule makes very strong products. This is one of their best products in the market. The price may be a bit higher than other bars, but the quality probably is too.